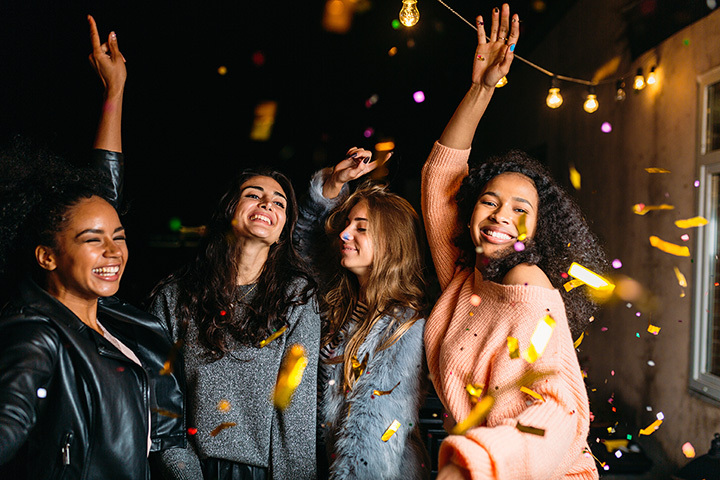 Coined by Leslie Knope of “Parks and Recreation,” Galentine’s Day is the “best day of the year.” Traditionally celebrated the day before Valentine’s Day, Galentine’s is a celebration of all things women. It’s about ladies celebrating ladies. Ladies, take heed. Your options for celebrating Galentine’s Day in Massachusetts are plentiful. These 10 places are tops. Even better than Leslie gifting her gals with gift certificates for facials and needlepoint pillows with their faces on them, a visit to the Spa at Stonehedge is the ultimate way to spend time on Galentine’s Day—especially before you hit the town. Sip wine as you luxuriate in a number of spa services. Swim in the indoor pool and treasure this time with your gals. The Paint Bar in Boston is the perfect spot to sip wine and paint something that will long remind you of why you celebrate Galentine’s Day. In addition, it’s Boston’s original paint bar, and what’s a celebration with your best gal pals without some originality? Gather the ladies for some food and fun at Kings Dining & Entertainment. The retro-style bowling alley and eatery also features games like bocce ball and billiards. Sing karaoke at the top of your lungs on Galentine’s Day at Franco’s Pizzeria & Pub. And if you need some sustenance for a few more songs, their subs and pizza are amazing. Sip some Cuban rum and dance the Salsa at Havana Club. Treat your lady friends to the gift that keeps on giving—salsa lessons. Not only will you get your body grooving, but you’ll also make memories to last a lifetime. Maybe you’d prefer going a little bit country for Galentine’s Day. Do some line dancing and ride a mechanical bull at Toby Keith’s I Love This Bar and Grill. Drink some beer and eat some ribs and corn bread, too! Since Galentine’s Day in Massachusetts is always cold, take a trip to some place exotic. No, we aren’t talking about jetting off to the Caribbean, but a visit to Kowloon to get you into the spirit. Dine on some of the best Chinese food in the Bay State and sip on something with pink with paper umbrellas. Stay for a comedy show, too. Nationally renowned comics perform there frequently. Embrace your inner femininity with a visit to Katrina Hess and book a group makeup lesson. Leave looking like a million bucks and with skills to knock the socks off everyone you see. What’s Galentine’s Day without sweets? Gather your gals and plan a Cupcake Decorating Party at Cupcake City. Their delicious homemade cupcakes contain nothing artificial and they’ve been voted the best around. Go early—and since you’ll box up your cupcakes and take them home, indulge in them with a glass of wine when you get back to your or your friend’s house. Open 24 hours and serving breakfast during each and every one of them, South Street Diner is the perfect place to cap off your Galentine’s Celebration. As Leslie once said, “We need to remember what’s important in life: friends, waffles, work. Or waffles, friends, work. Doesn’t matter, but work is third.” So have a waffle and celebration your squad.